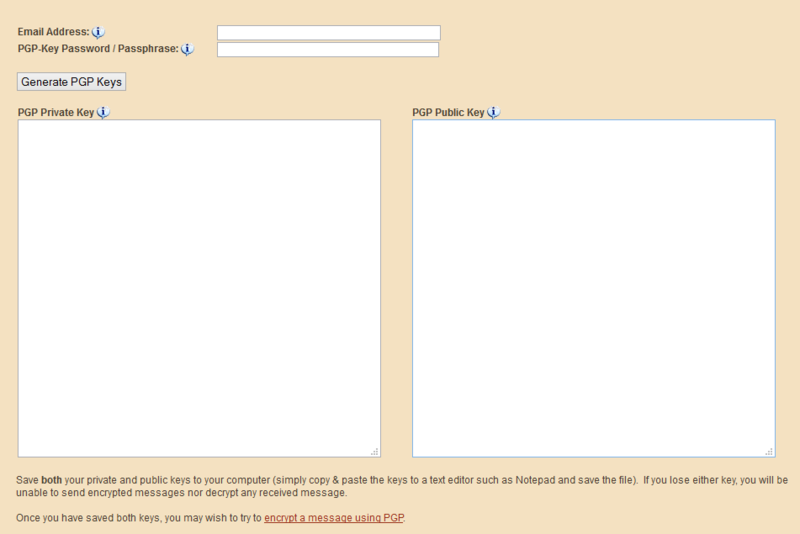 PGP is a popular software system which can be used to encrypt messages so that only the intended recipient can read it. It offers a strong level of protection to prevent anybody else from spying on you and reading your messages. Using PGP, which stands for ‘pretty good privacy’, is often quite daunting for beginners. Many people get put off as soon as they start looking into the subject because a lot of the information out there is quite technical and full of words they are not familiar with. Part of the reason for this is because PGP actually has a lot of different uses beyond encrypted messaging. But it really does not need to be so difficult. In this article I will introduce you to a simple web service, and you will learn how to send and read encrypted messages using PGP in a very quick and easy way. I’m sure that you would find it worthwhile to learn more about this useful technology if you have the time, but if all you want to do for now is to send a quick message without having to translate a load of technical jargon and learn how to use a complex piece of software then this article is for you. You can use this system to send private communications through any channel – through emails, instant messaging services, chats and private messages on forums and other websites. If you have just read our article on Shopping on the Internet’s Black Market then this is an ideal way to protect your privacy whilst communicating with sellers – especially if you want to share personal information such as your shipping address. All you need in order to send a secret message using Pretty Good Privacy is the public key of the person you want to send it to. If you are using one of the deep web’s dark markets then you will probably be able to find this by visiting the public profile page of the seller you want to communicate with. 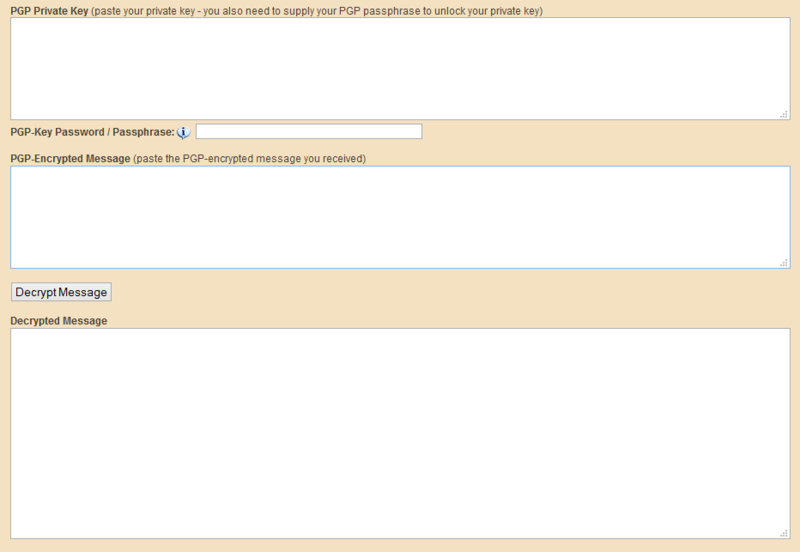 You will see a form which includes a space for you to paste the public key into, followed by a space for you to type the message you want to send. Only the person whose public key you used will be able to decrypt and read this message! 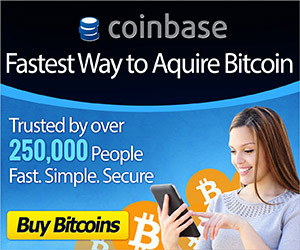 So now all you need to do is to copy and paste the encrypted message and send it through whatever communication channel you wish to use – it really is as simple as that! 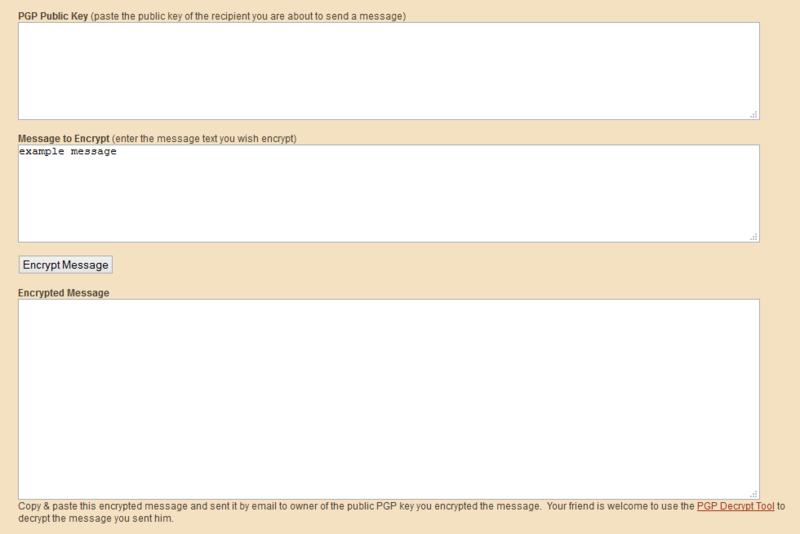 Receiving PGP encrypted messages that only you can read is almost as simple as sending them. There is only one extra step – you need to generate a public / private key pair. If you enter an email address and password it will generate a key pair for you. The email address does not need to be your real email address – so if you do not want your communications to be connected to your real world identity you should just make up a fake email address to use instead of your real one. You should save your private key in a safe place and make sure that nobody else can get hold of it – if anybody gets access to this key they will be able to read private messages meant for your eyes only, and if you lose it there will be no way for you to read messages sent to you. You should also save your public key – this is what you will share with people who want to communicate with you via PGP. You can put your public key into profile pages on websites that you use, so that friends and associates can find it easily. If someone has encrypted a message using your public key then it is very easy for you to decrypt the message in order to read it. Visit this page: https://www.igolder.com/PGP/decryption/. Enter your private key and the password you used when creating it, along with the encrypted message, then click to decrypt and you will be able to view your message on the web page. The service used in this article does not store any of the data generated whilst you use the service. That means that when you leave the web page all of the information, including your keys as well as any text, will be lost – so you can rest assured that it will not be stored on a server somewhere and used to break the privacy which this technology can provide you. Wow. Since there is NO WAY to verify your information is not being captured and maintained, this is about as insecure a system as possible. Anyone using this MUST assume their information is compromised. If you really want secure communications, use PGP directly instead of exposing your information in-the-clear to an untrusted website. As the writer of this article, I can actually say I agree with this. Please do this. I wrote this because I believe that many people don’t use these technologies because they either are too complicated or (often) seem to complicated for them to try. It is my hope that the people following this advice are those who would otherwise have not used PGP and not those who would otherwise have used proper PGP software. Thanks for keeping it real Chris. Ya its good to do your own pgp but i dont think i have seen one arrest state that law enforcement got info from igolder to identify or read encypted messages. i think its a good service for people that dont want pgp software on their computer.